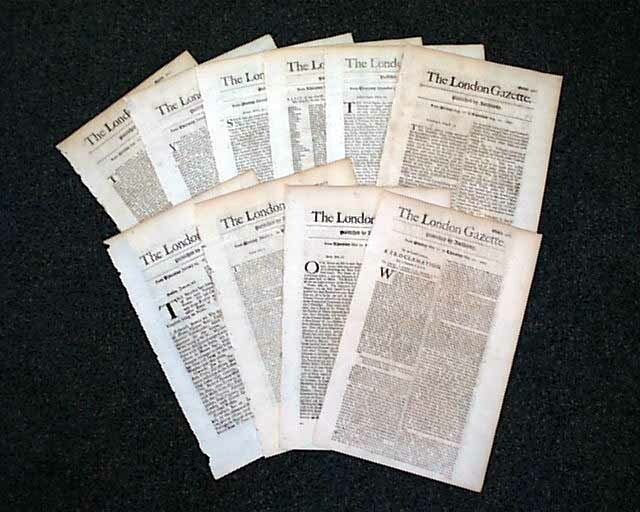 Item # 180022 THE LONDON GAZETTE, a great opportunity to purchase a lot of 10 issues of the oldest continually published newspaper in the world, all from the 1690's, & in good condition. Offered at a considerable discount over the per-issue price. The image shows an example of the look and condition of the issues you will receive.